Whether planned or unexpected, the need for a new roof can represent a significant home investment, but it can be worth it since a roof helps protect your home and everything inside it. Increasingly homeowners are exploring financing options to help with their purchase. After all, it helps break the financial investment into smaller monthly payments. The good news is that it's never been more convenient and straightforward to secure homeowner-friendly financing for your upcoming roof project. 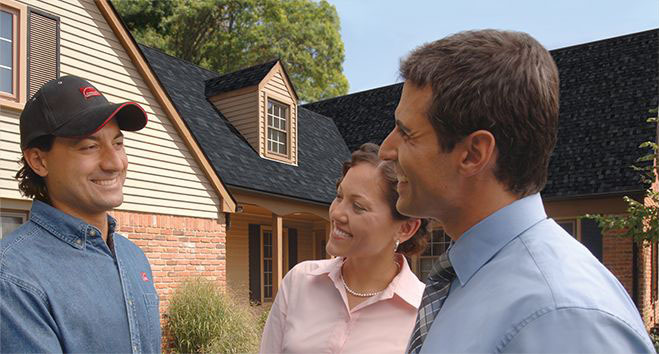 Many Owens Corning Roofing Contractor Network members offer financing options. Owens Corning Roofing Contractor Network members are independent contractors who have met our high standards and strict eligibility requirements to become a member of this exclusive Network. Many of them offer a range of financing options, and can help qualified homeowners take advantage of installment loan solutions with favorable consumer interest rates and extended repayment terms. Find Owens Corning Roofing Contractor Network members offering financing options in your market. As an example, an unsecured home improvement loan of $10,000 with a term of 60 months with an APR of 10% monthly payment could be as low as $212.47** for applicants with excellent credit. Talk to your contractor about the specifics of your project financing.